Today is the last day of Singapore’s Restaurant Week(22-28 Mar 2010) and guess what, this totally slipped my mind till late last nite and hence I haven’t been able to claim my piece of the pie in trying out some of Singapore’s most atas and fine restaurants at a fraction of their original prices…and thus I rant. 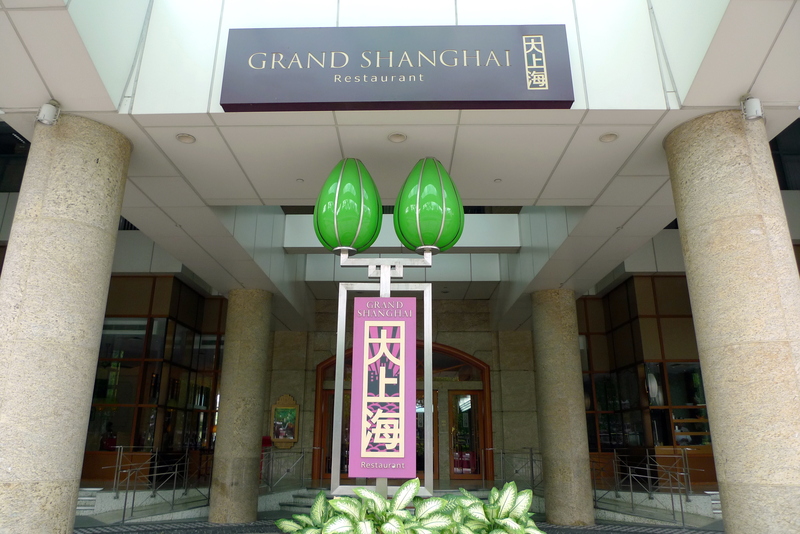 I was hoping that a relaxing Sunday luncheon at Grand Shanghai @ Grand Copthorne Waterfront Hotel would be able to appease my non-participation in Restaurant Week. I really love the ambience here, it’s very chic and retains the classic old-school charm of a typical classy Shanghai restaurant. 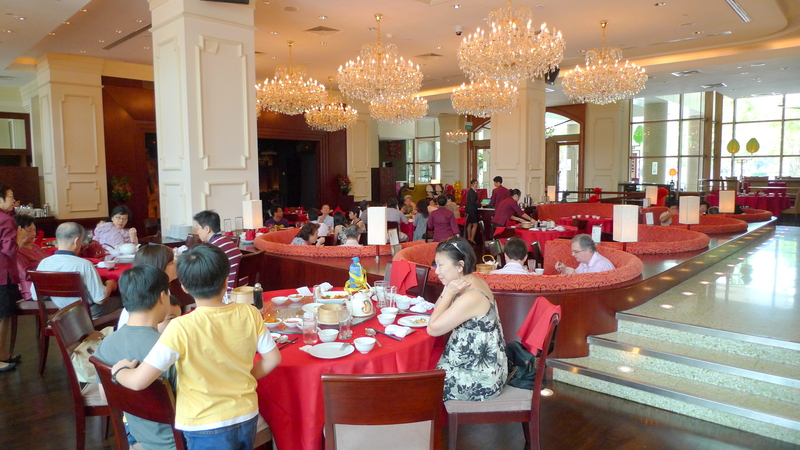 During dinner, a live band will be performing on stage and customers can request for songs(as in those chinese or dialect songs, not Bad Romance by Lady Gaga since the band uses traditional chinese instruments). Clad in cheongsams with a graceful air about them, the singers never fail to blow the crowd away. 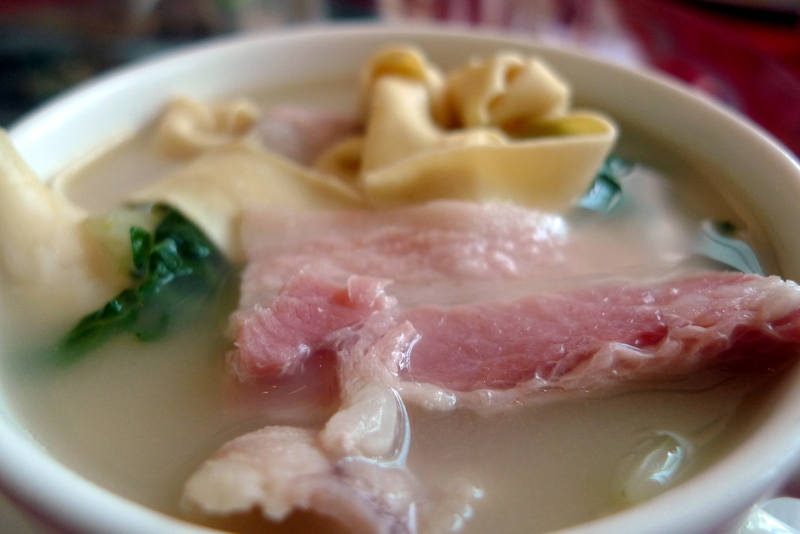 Fancy something lighter on the palate, then the Jinghua Ham Soup($10/pax or $28/small pot) is for you(actually I can’t remember the exact name of this dish). The milky broth was sweet, salty and amazingly replete with umami goodness. 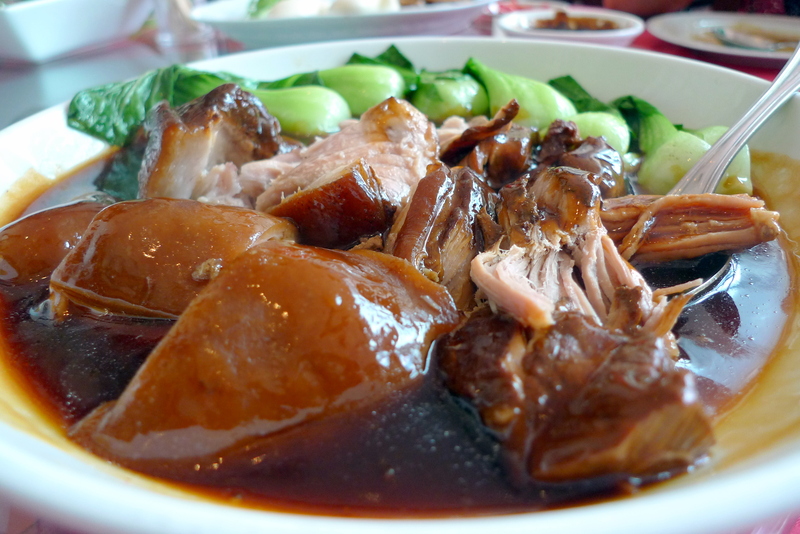 It was pretty obvious that long hours had gone into the boiling process of what I guess must have been tonnes of pork bones, Jinghua Ham, Bamboo Shoots and Baby Xiao Bai Cai to create such a flavourful stock. 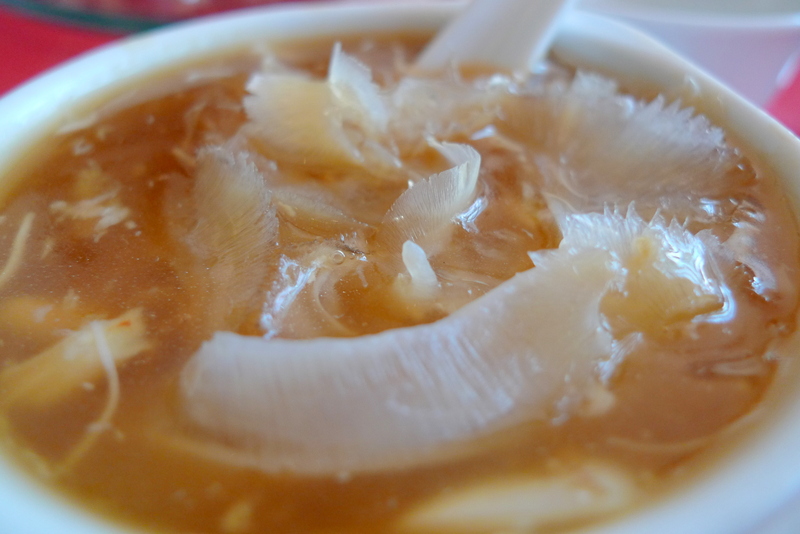 The wad of Beancurd Skin was also essential in toning down the myriad of flavours present in this dish and keeps one from getting overwhelmed. This milky broth actually reminded me of a tonkotsu ramen broth, except that I haven’t had one so rich and orgasmic before. 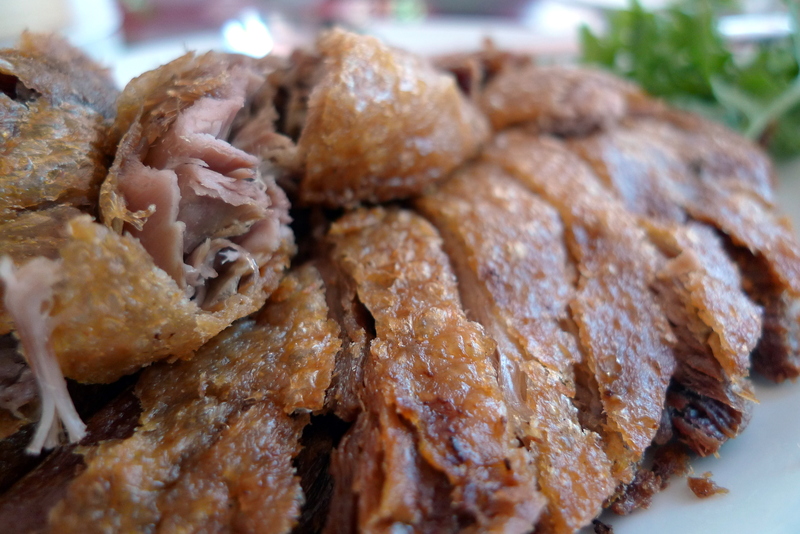 Most chinese restaurants serve a mean Crispy Chicken or Peking Duck but instead of these more abundantly found dishes, one of Grand Shanghai specialities is actually the Crispy Duck($30++/half duck). It was the embodiment of a Chinese version Duck Confit, albeit a lot drier and tougher(probably because a shorter curing process was involved nor was it cooked in it’s own fat). 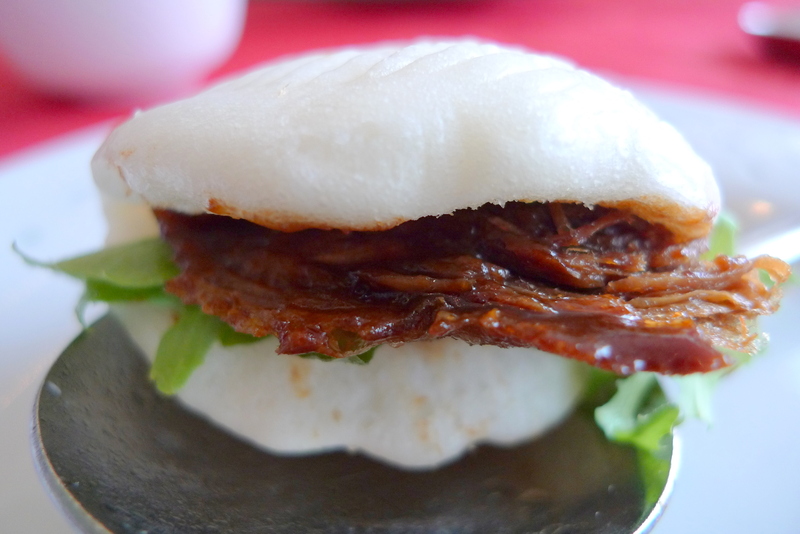 The Crispy Duck here is eaten the same way as to how you would eat a Kong Ba Pao(Belly Pork with Bun) but I didn’t really enjoy it, I’d still prefer the conventional Peking Duck or a French Duck Confit anyday. I know that it’s so been there done that but I could never resist a nice fatty Cod Loin, despite it being one of the easiest fish to cook due to it’s natural fatty taste. The Deep Fried Cod Fish with Garlic($12/piece) had a piquancy originating mainly from the garlic which I thought added a simple yet effective dimension to an otherwise nice but boring dish. On the other spectrum, the Steamed Cod with Egg White and Scallops($12/piece) held back on the spices to successfully capture the mild sweetness of the fish(hidden under all the egg white in the pic). My only gripe was the case of the missing scallops…since I didn’t see nor taste the presence of any. I really enjoyed the Braised Sea Cucumber with Shrimp Roe($36/portion). 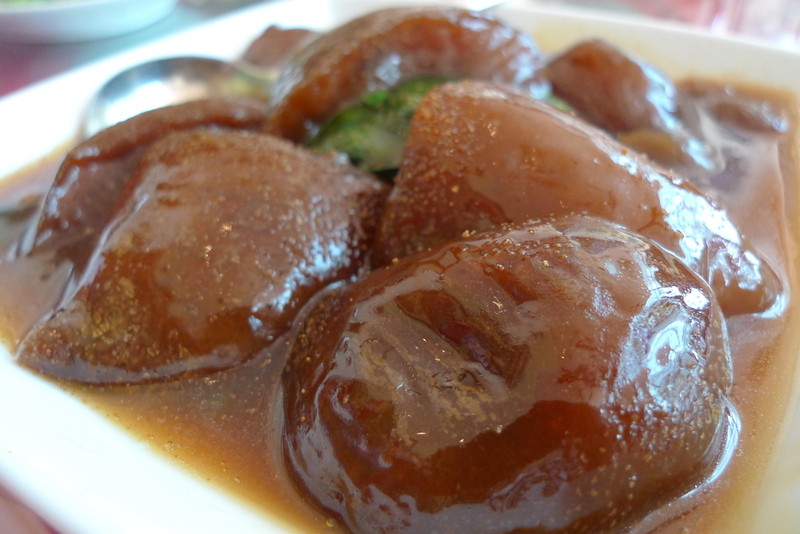 They used my favourite type of Sea Cucumbers…the large and soft ones and they were well braised with an infusion of thick saporous gravy. It was so smooth and melt in your mouth that one can easily mistake it for a lump of pork lard, sans the calories and cholesterol. However, I did feel that the shrimp roe was redundant and was only around to make the dish sound more posh. Mum also mentioned that the Spinach was overcooked but who cares really? It’s the Sea Cucumbers I’m here for anyway. 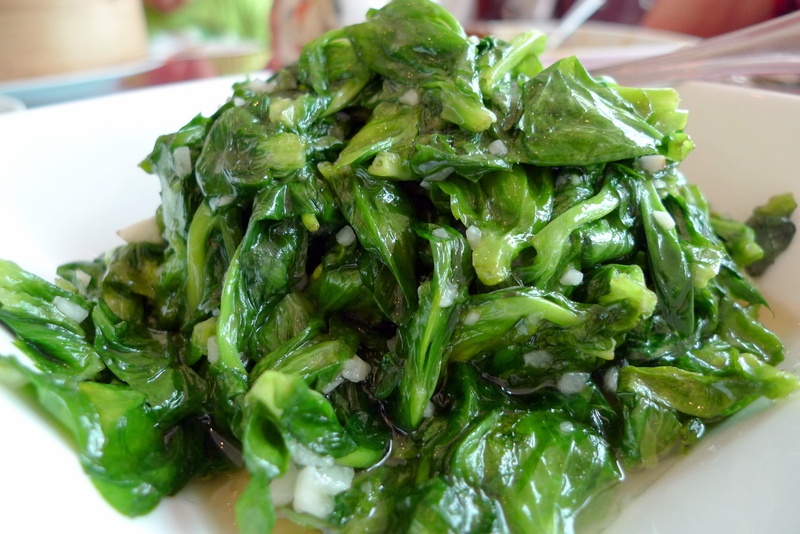 Of course, we also had a Fried Dou Miao with Garlic to wash down all the cloyingly unhealthy rich foods. 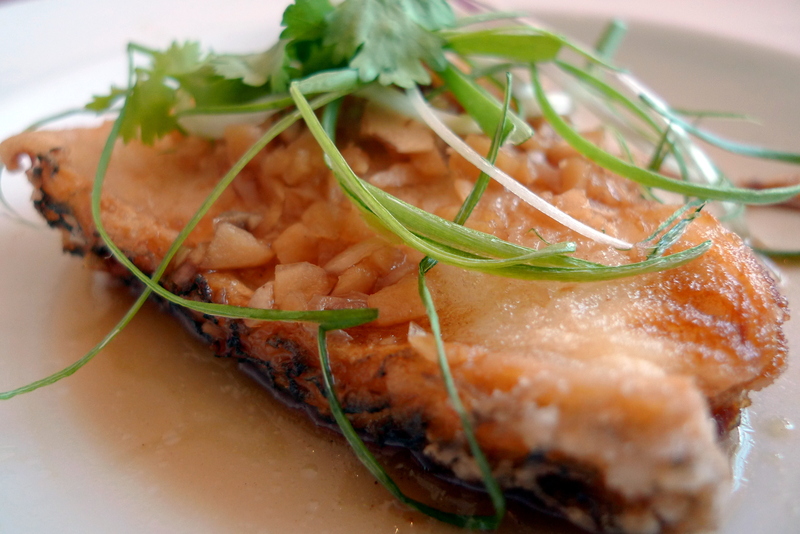 Frying Dou Miao is child’s play(I think), guess it’s pretty standard fare so no comments about it. As always, food here was good, if not great. Service though was very questionable. Most of the time, we ended up refilling our own tea and I could detect a not so subtle tiresome attitude from the wait staff after we asked if we could doggy bag some food since we overordered. I really hope that this was a once off drop in service standards because my previous visits had been most memorable(somehow especially the Drunken Chicken). After all, dining here is not a humble affair and hence I have no wish to be treated humbly. You are damn annoying about the Bad Romance part hahaha. I’m surprised you didn’t make use of the Restaurant Week opportunities! 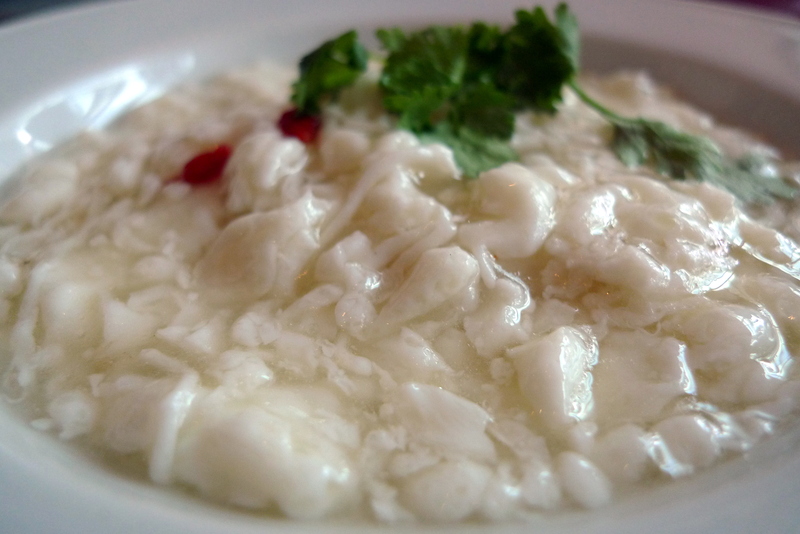 Of all the dishes, the dou miao looks the shiokest! Ironic, since you didn’t fancy it much.